Jesus always welcomed children to come to him – and, here at DevonshireKids, so do we! Come with us to help our children find and follow Jesus Christ as we educate them in the word of God, encourage them in their walk with him, and empower them to follow Jesus and lead others to do the same. We strive to involve the children on a regular basis in the greater church, making the church visible to the children and the children visible to the church, all while fostering a relationship with Jesus. More information regarding each age group is noted below. Check out the Virtue and Memory verse the kids are learning this month, and download the Weekly Devotional (GodTime card) that goes along with what they are studying on Sundays! Follow us on Facebook for regular updates throughout the week. Need to know what to do on Wednesday nights with your elementary age kiddos? Want to go grocery shopping without purchase suggestions in every aisle? Devonshire’s midweek ministry for ages K-5 will begin on Wednesday September 12, 2018. Sign-in begins at 6:30pm and pickup is at 8:00pm. In a dark world we want to G.L.O.W. 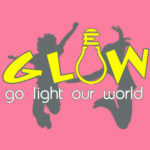 (Go Light Our World) for Jesus and help others come to know Him too! What kind of fun things do we do at G.L.O.W.? It’s like VBS every Wednesday! Power our ministry by serving the next generation! Let us know if you are interested in getting involved. When you visit, a member of our Greeting Team will help you find the right classroom for your children. As much love and care as is possible is in our infant and toddler rooms each Sunday morning. We strive to create an environment that nurtures and begins a relationship between the children, the church, and our God. We want families to be comfortable and, as with all age groups, this is open to family involvement. Nursery care is available starting at 9:00 am each Sunday and is available through the church hour. With singing, crafts, and story-time, we begin the transition from the nursery to a more structured teaching environment. Basic Bible stories are taught, answering questions of “Who is God?” and “Who is Jesus?.” In this group, we create a structure for teaching in which children can begin to create relationships with one another. From 9:00 – 10:15 am there is one class for 3-, 4-, and 5-year-old pre-K children. Following that, during the church hour, they are split into two classes with one for 2- and 3-year-olds and one for 4- and 5-year-olds. In these classes, we begin to teach the application of the Bible stories learned in previous years, placing those stories in their proper context and ascertaining their application to the present. And, as the children grow together, we create an environment which promotes mentorship with the younger classes. This age group meets together each Sunday during Sunday school at 9:00 am and also meets with the third through fifth graders in the fellowship hall after the worship time in the church hour. In this group, we begin to teach Bible stories with an emphasis on the timeline of the Bible, as a whole. While learning the books of the Bible and their order, we focus on principles of reliance and dependence on God. This age group meets together each Sunday during Sunday school at 9:00 am and also meets with the kindergarten through second graders in the fellowship hall after the worship time in the church hour. As our children lead their daily lives, we want to teach them to go, trusting in the holy spirit to help us speak and teach us what to say (Exodus 4:12), to pray, making our requests known to God in everything with thanksgiving, and to serve, not lacking diligence but serving the Lord with a fervent spirit (Romans 12:11). Our mission is to help children find and follow Jesus. We do this with a vision to educate, encourage, and empower. -	Educating children from birth through fifth grade, instructing them in who God is and how he is revealed to us in the Bible, while making it relevant to the church and their place in it. -	Encouraging children and their families in their walk with the Lord, emphasizing their relationships with one another and their relationships with Jesus. -	Empowering children to follow Jesus and to lead others to do the same.